This is the go to cream in many WA households for a wide variety of ailments. Works on anything and is our most versatile cream. Can be used in place of Neosporin or applied for deep muscle pain. This product is most accredited for its use in treatment of eczema. It can stop a rash in its tracks! This cream is completely unscented, hypoallergenic, and perfect for sensitive skin. This product cleared up my excema within three uses. I have tried many prescriptions for this and nothing works as fast and effective as Kush Creams! And you have to love the natural organic ingredients! Thank you! I had a surgery and accident which risked the skin on my face. I was extremely swollen, very very bruised black and blue and also I was scared. A construction worker at my house gave this to me and said it helped him and it might help me. he gave me thewhole small container as a gift! This has been unspeakably, remarkably healing. The change in just 3 days has awed everyone family & friends. The skin that they thought would surely die – did not! The bruising went down over 4 times less! I can’t tell you how grateful I am to your company, to you people — taking this product out for people like me to use. Some day I will be happy to show you a photo. Truly this is a great product for anyone to use. We have used Cream of the Crop Perma Frost Super Sour Diesel for about 2 weeks. On shoulders, neck and hands and each time it works!! We love it and will buy one for our daughter who has aches from a car accident. Teeth gritting pain of arthritis, RA, muscle cramping, nerve pain and diagnosed fibromyalgia…(because the doctors cannot find the root of problem with severe cramping and pain) are what I deal with daily. Barely functioning but trying to go back to work. In the last four years lost 444 lbs and doctors can no longer pawn off my pain to say it is the weight I carry. I want to thank you, nearly tears in the Life’s Rx in Renton yesterday when I tried your Organic Perma Frost cream!!! AMAZING, SIMPLY PERFECT!!! I know there is hope and reality, to have in less than a minute something that took that clinch out of my teeth… Easing the terrible aching pain!! WORDS ARE NOT ENOUGH!! Just the sample in the store and I was sold!! THANK YOU FOR CREATING SUCH AMAZING PRODUCT!!! Love it all!! Used to get leg cramps nightly, no more. Use perma frost on legs and feet and it works wonders! We also use Kreme of the krop nightly, can’t imagine life without it. Thank you for everything. My mother used Natural Sensi while she was as undergoing radiation treatment for breast cancer. She started using two weeks prior to starting and used three times a day during treatment for three months. She did not have any issues with blistered or burnt skin and her doctors were amazed! Thank you Kush Cream!! I use this cream for headaches, backaches, wounds, cramps, hand and feet pains and so much more. I love how it doesn’t leave your skin or clothes greasy. Thank you for all you do! Congrats on going OTC. Diagnosed with degenerative arthritis in my hands. Swollen knuckles and cramping muscles made it difficult to use my hands. Started using natural sensei three times a day. Within three months, my hands looked and felt normal. Being able to use my hands again was simply a godsend. I use the natural sensei as I am allergic to perfume. 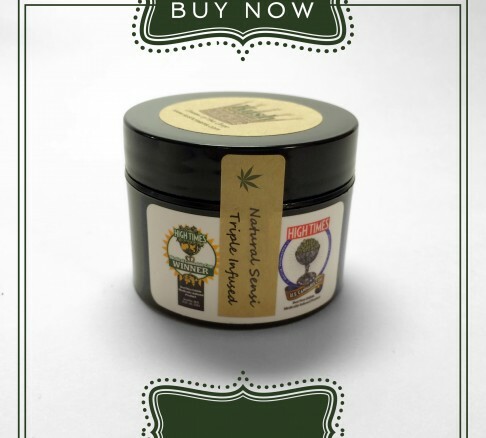 This hypoallergenic kush cream is great. Thank you for this wonderful product. I have used Kush cream for years, for everything from deep muscle/neck pain, to leg cramps, eczema outbreaks and even irritating mosquito bites. It’s almost eerie how quickly it works to eliminate pain and irritation for all of these symptoms. I’ve also given it to others for arthritis and similar issues. Their initial skepticism was replaced with awe and amazement at how quickly the product noticeably reduced or completely eliminated their pain. I cannot recommend this product highly enough; I’ve tried other products and they are just not as effective. I’m convinced that if doctors took the time to observe its effectiveness they would stampede to have the product legalized and begin prescribing it nation-wide. 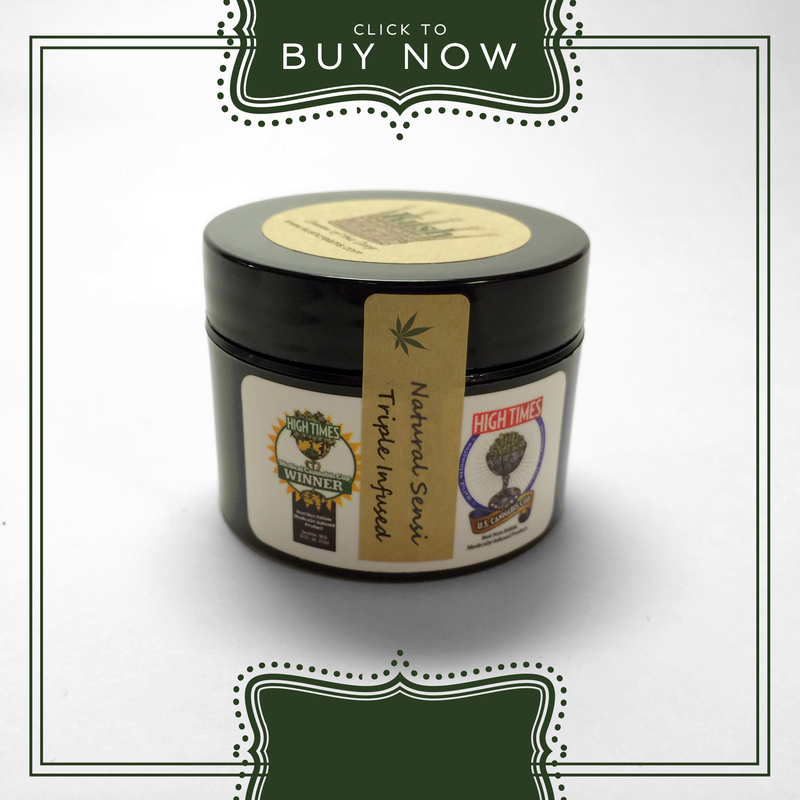 I use the Natural Sensi for everything pain related. (cramps, burns, headaches, etc) This stuff is remarkable and out of this world. Nothing else like it and I love the high quality of their products. My 88 year old Mother’s Vascular Surgeon suggested Kush Cream for the pain in her legs. I was amazed he recommended it being in the AMA. Well, tried it and is is marvelous! Works for my knee pain, foot pain & also my Mother’s aches and pains. Besides using successfully for muscle aches and joint pain I started applying the sensi to a dry, sensitive age spot on my left cheek (sun damage ) This patch got worse after the dermatologist tried to freeze it off. It didn’t even blister, but it instead became more sensitive and more precancerous looking. After applying the Kush cream daily, the spot became soft, then lightened and shrunk. It eventually disappeared. I am blown away as I did try other skin products without any change. I’m sold on Kush it is a very affective product. PS Myo shared the samples you sent him 🙂 … Sharing is Caring! Only thing that we have found to help our two year olds severe case of eczema!!!!! Jus received this today and I highly recommend this to anyone. My eczema has not gone away but I definitely am not itching it like I was before use this is a one shot healer for everything I am in love will be buying more.